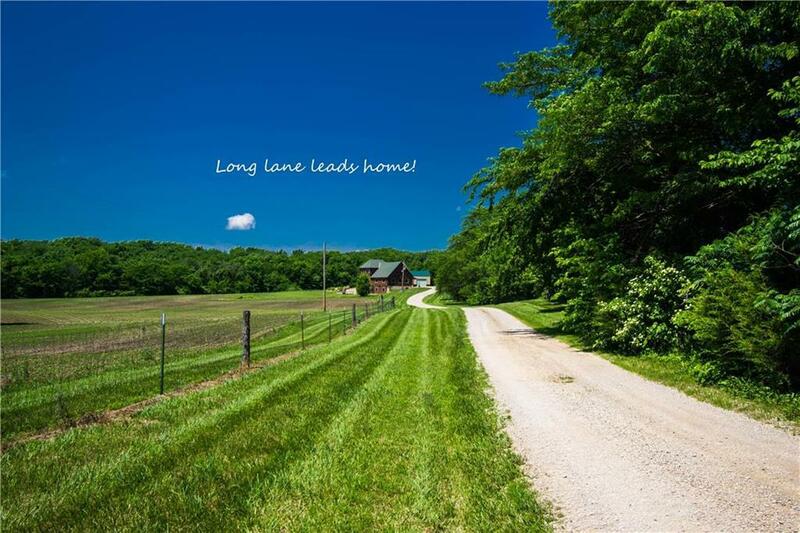 Imagine yourself in this one of a kind log cabin on 40 acres! Beautiful property has it all, come enjoy this outdoor paradise. Entryway leads to the living room w vaulted ceilings and wide staircase. Living room has plenty of space for all your furniture! Kitchen features big pantry and large island. Concrete countertops and lots of cabinet space for the cook. Big windows overlook the property. Upstairs features loft area, master bedroom and master bath suite. Huge tub is perfect for soaking your troubles away! Directions: N Highway to Rainbow Road, South on Rainbow Road (turns into three tees road) to home.